A personal project which may turn into a series. 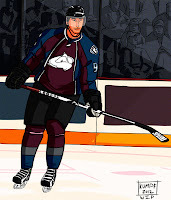 The goal being to merge two big hobbies and interests of mine: comic books and hockey. 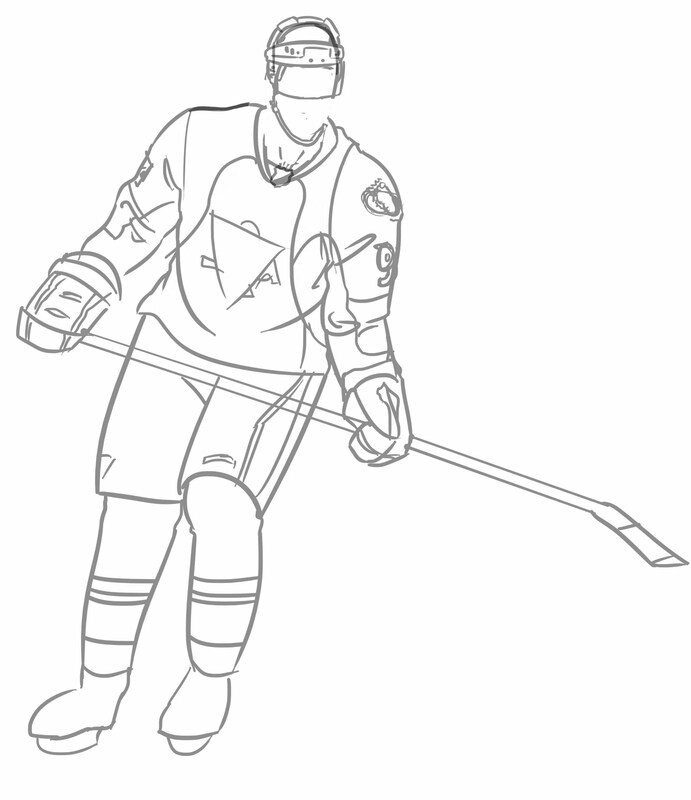 I've always enjoyed the halftone aesthetic and thought it would be fun to apply it to hockey. I was thinking of going the extra mile and including a caption box and/or dialogue balloon but that turned out to just be too much. I was thinking of giving it an old paper texture but liked how clean it was already. 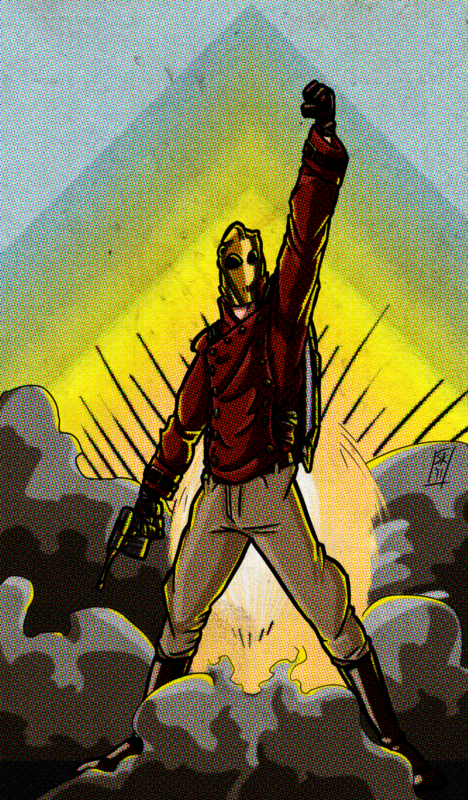 This project kind of came about from a recommendation of my Illustration Professional Practice teacher who, going off of my old Rocketeer drawing, said I should play around in that style more. 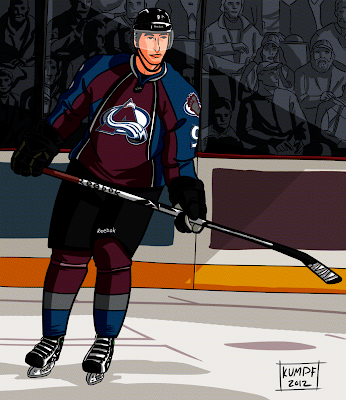 He mentioned with older/new comic characters but I went ahead and merged it with hockey. 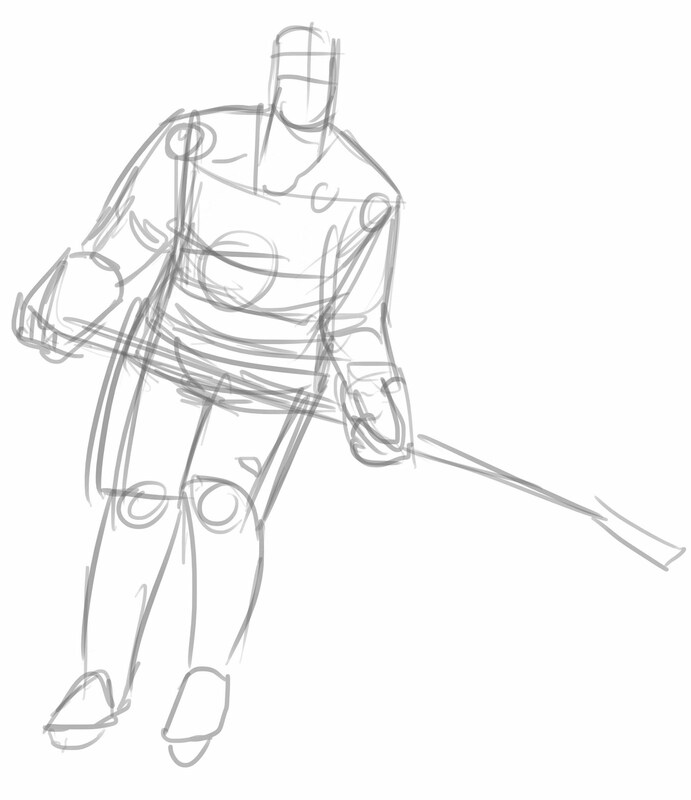 I love how the body looks on skates and how it's weighted when coasting along. 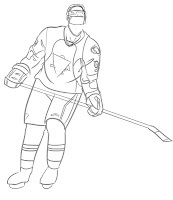 Also, since the NHL is such a fast sport slowing it down to get that glimpse of something special happening on the ice you might not catch at full speed. 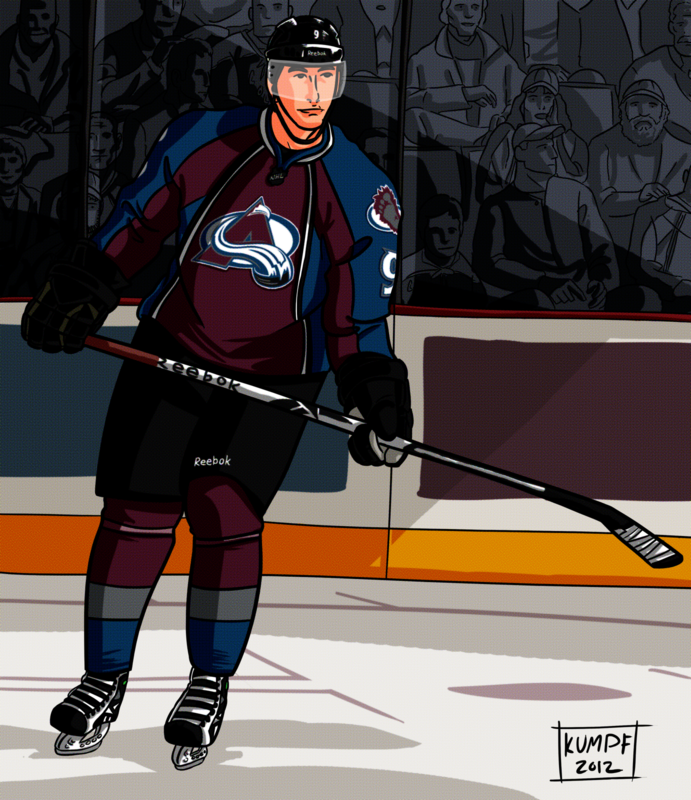 While I am a fan of the Pittsburgh Penguins and this actually started out as an illustration of James Neal, I decided to switch over to Matt Duchene of the Colorado Avalanche. 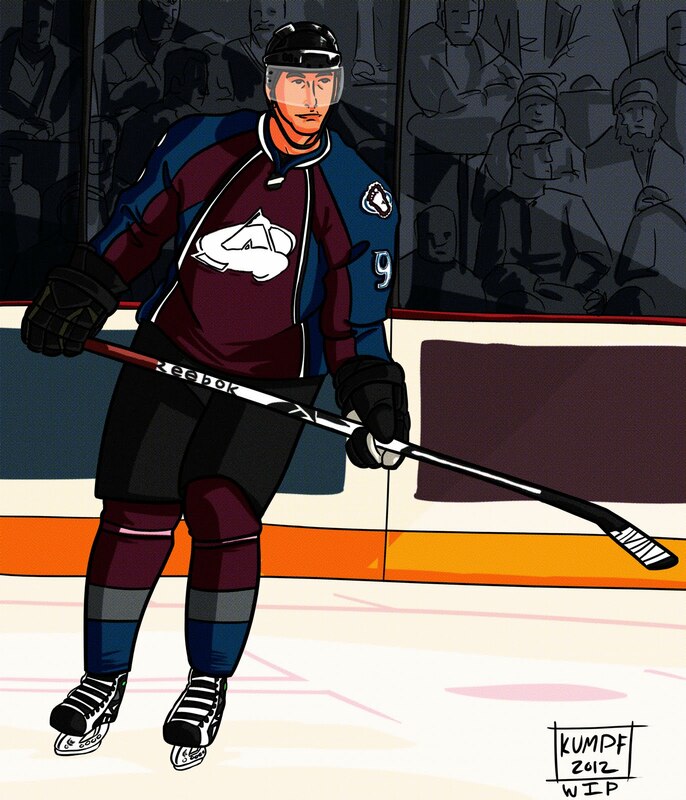 My brother is a big Avs fan and I try to get a gander at them from time to time and Matt Duchene really is an exceptional hockey player. 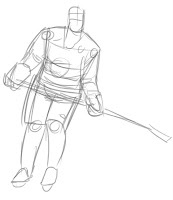 Some personal criticisms: Ice skates are really hard to draw. Like, super hard. Also, I wish I had a Cintiq to get some nice 1:1 work done especially with the logo and patches. There's so much intricacy that is important to capture that working on a regular Graphire is really hard to do.